The history of Czech cell biology deserves to be remembered, but only the present and future are what matters. Today, Czech cell biologists live in a completely different world and there are a variety of local and international “avenues” available for their scientific endeavors. Czech undergraduate and postgraduate students can freely leave for “Western” faculties/institutions and cell biology investigators can work in “Western” laboratories. As a consequence, up-to-date cell biology knowledge, including new technologies, has been incrementally brought back to the home country on a rather massive scale. Importantly, the number of foreign PhD students and investigators in cell biology that study/work in the Czech Republic has been gradually increasing, especially over the past decade when the rise has been exponential. The democratic changes also resulted in the complete revision of local science policies and led to the establishment of grant systems based on the “Western” model. The Czech Science Foundation (links to major grant and fellowship providers are given below) is the principal provider of grants devoted to basic research and encompasses most cell biology projects. The Technology Agency of the Czech Republic supports application projects in which companies also have to participate. Numerous projects are supported by the Ministry of Education, via direct support, or via support through universities or the Czech Academy of Sciences. Recently, several Scientific Centers have been established (e.g. in Brno, Olomouc, České Budějovice and Vestec) thanks to financing provided mainly by the European Union (EU). Cell biologists can apply for a variety of competitive foreign grants. These also include installation grants for which both Czechs and foreigners can apply in order to establish themselves in the Czech Republic. 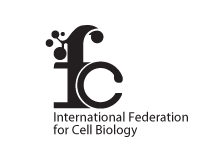 Today, regular collaboration between Czech cell biology groups has become the norm and numerous Czech cell biology laboratories participate in various international, and particularly European, joint bilateral or multilateral projects. Importantly, the current science policy in the Czech Republic places great emphasis on PhD studies. Despite minor differences, the rules are very similar at various universities, and support for PhD students based not only at various university faculties (e.g. www.lf1.cuni.cz/en/doctoral-studies1), but also at the institutes of the Czech Academy of Sciences, as well as ministerial research institutes, has been implemented. For instance, Charles University in Prague, which also has faculties in Pilsen and Hradec Králové, became a center of education and science for the whole region for postgraduate studies. The “Biology and Pathology of the Cell” Commission of Charles University, oversees students in cell biology, as well as a number of students from overlapping disciplines. The Czechoslovak Biological Society was already established in 1922. Due to the ongoing extensive specialization that was taking place in life sciences, an imminent need emerged to establish a society specialized for research on the cell. Historically, scientists approached the understanding of cell function in three ways. Biochemists and molecular biologists tend to look at the mechanisms of reactions that occur under cell-free conditions, often from purified components. Geneticists have isolated mutants that affect cell function and use the resulting phenotypes to deduce the function in vivo of particular proteins. Finally, morphologists and structural biologists have tended to meticulously observe the structure of the cell and its constituents under varying conditions, and utilize changes in structure to deduce the functional role of various cellular regions, macromolecular complexes or individual macromolecules. Over the last several decades, a synthesis of all of these disciplines has been steadily emerging under the term "cell biology." Cell biologists combine all these approaches in order to understand the problems associated with cell function. The Czech Society for Cell Biology, z.s. (www.cscb.cz; links to selected local and European/International Scientific Organizations are provided below) was established as the independent Society in 2014. The Society has grown out of the Cell Biology Section of the Czechoslovak Biological Society, with the continuity of its aims being preserved. The Society is involved in research progress in all disciplines of cell biology. The Society has extensive teaching activities that include both undergraduate and postgraduate students. The Society also helps to promote the careers of early career investigators, and is involved in the organization of lecture courses, as well as local and international symposia, workshops and practical courses. Chairman, Czech Society for Cell Biology, z.s.